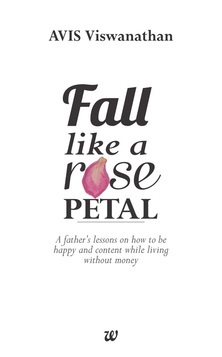 ​“Fall Like A ﻿Rose Petal - A father's lessons on how﻿ to be happy and content while living without money” is the title of AVIS' first book published by Westland in August 2014. 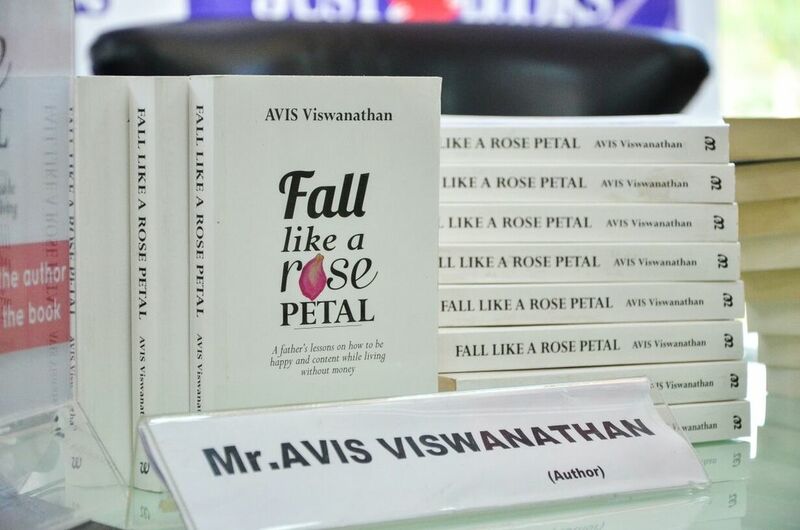 To Vaani and AVIS, ﻿"Fall Like A Rose Petal"﻿ is a spiritual journey. In early 2008, AVIS and Vaani – his soul-mate, friend, wife and business partner – were staring at a bankruptcy of their Firm. A series of business decisions had literally brought them to the brink of penury. “Fall Like A Rose Petal” is their story. It captures learnings from this excruciatingly painful, Life-changing, phase that they are still going through. It also explores the nature and continuum of Life. There is no beginning to the story. There is no end either. There are simply experiences. Of hopelessness. Of fear. Of insolvency. Of pennilessness. And also of faith, patience, love, companionship, abundance and soul. Of integrity and of leading a principled Life, despite temptations to take the ‘easy way’ out of painful or messy situations. This book has been written, in the form of letters from AVIS to his two children Aashirwad and Aanchal, to share how his family has learned to be happy despite their circumstances. You too can benefit from their learning, and experience, and discover the right way of thinking, living, working and winning in Life – for yourself!